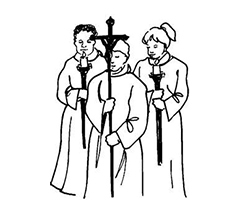 Altar Servers help the Priest throughout Mass. Anyone who has received their First Holy Communion and is trained can be an Altar Server. Adult Altar Servers will need to hold, or be eligible to obtain a Blue Card for this role.